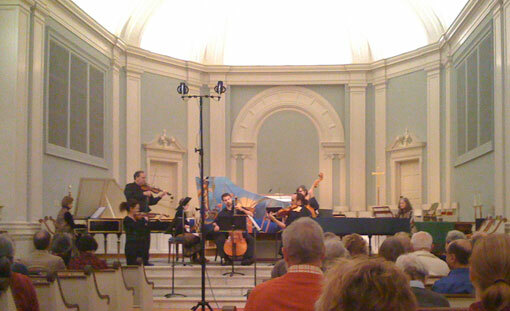 We went to a concert Friday night in Chapel Hill that featured three harpsichords! The program included music by Bach and a local composer named Edwin McLean. I really enjoyed McLean’s music, and will be looking for a CD. One of the performers, Elaine Funaro, played her new harpsichord (Opus 333). 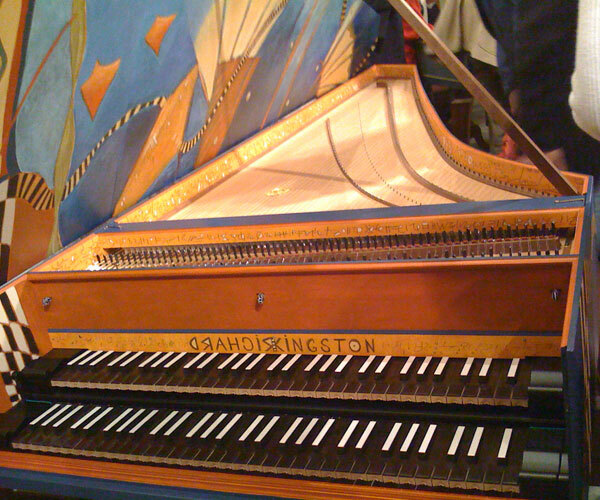 The instrument was built by Richard Kingston. The harpsichord was painted by Durham artist Lisa Creed.